A classic and satirical take on Three Little Pigs fable. It is brilliant story telling and the illustrations by Lane Smith are magical, as always. This book was rejected by dozens of publishers and there is an interesting story that Lane Smith tells about how all this book happened. This is one better! What a funny story by David. And, as a bonus he reads it out loud. I am on a discover all David Ezra Stein books bandwagon now. Here is Pouch! And, it makes me smile. Following up on David Ezra Stein after reading Interrupting Chicken (and absolutely loving it). Leaves is another delight with great illustrations. A brilliant story about two friends who are blobs of colors. A story about sharing set in a world of 3 frogs. Another magically illustrated book by Leo Lionni. He touches multiple themes but mostly centered around perspectives. A chameleon finds that he has no color of his own and feels a color crisis. Leo Lionni is a master of bringing perspectives through art, and he shines again here. Cute story. Mostly dialogue between two fleas. One want to travel the world and other does not want to leave a comfortable life. Brilliant perspective. Another gem of a book. 1961 Caldecott Honor. An inchworm gets out of a tricky situation meaning being-eaten-by-a-robin. Caldecott Honor 1964. About a little fish called Swimmy. Beautiful illustrations. Leo Lionni is an amazing story teller and illustrator and winner of four Caldecott awards. Frederick is the story of a young mouse, who is a poet. Caldecott honor - 1968. Caldecott 2011 Honor book with mesmerizing illustrations about Dave the potter, 19th century folk artist, poet and slave. A story that every kid should know. This is a touching story. This is also one of those rare picture books where the protagonist is an adult (but he is childlike). 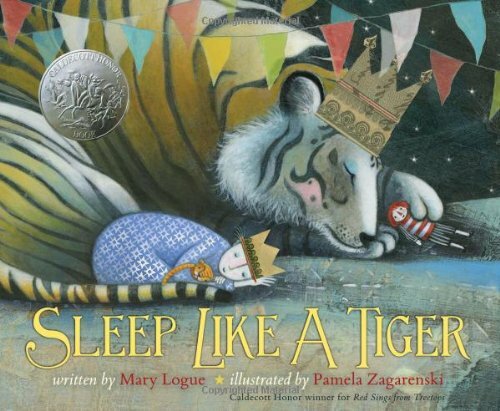 2011 Caldecott Medal. Caldecott 2012 Honor. A book about Jane Goodall. Who has not had a child that said, "I am not sleepy. I don't want to go to sleep" even though sleep was ready to take them over. Brilliant book. Caldecott Honor 2013. 2013 Caldecott Honor. Beautiful story. The words and illustrations on every page kept me smiling. The twist at the end was perfect.